The Army Black Knight's defeated the Lafayette College Leopards 57-41 at the United States Military Academy's Christl Arena in West Point, NY on Saturday, February 28, 2015. 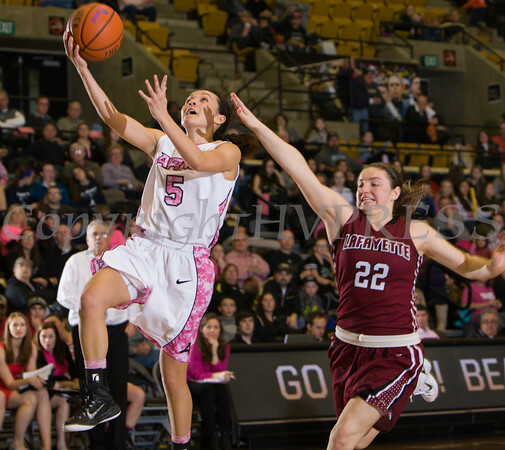 Army Guard Kelsey Minato (5) drives to the basket past Sammy Stipa (22) as the Army Black Knight's defeated the Lafayette College Leopards 57-41 at the United States Military Academy's Christl Arena in West Point, NY on Saturday, February 28, 2015. Hudson Valley Press/CHUCK STEWART, JR.